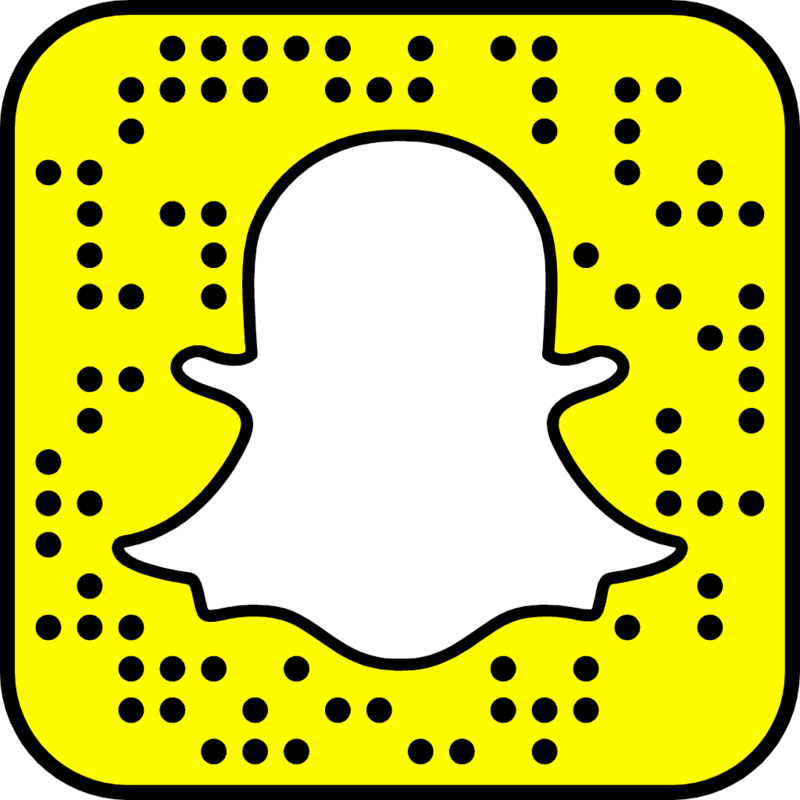 With over 100 million daily active users and 7 billion video views daily, Snapchat has become a social media powerhouse since it’s conception in late 2012. Hovering our thumbs over our expensive devices while swiping, tapping or scrolling through real-time marketing interactions has become second nature to consumers. 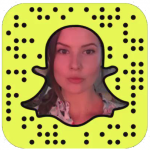 We have seen sponsored filters, discovery channels and live stories, but how can a marketer achieve success on Snapchat if they don’t have a million-dollar budget? Social media marketing analysts have revealed that authentic, exciting, informative and creative content posts the audience wants to absorb drives engagement. A key part of strengthening your brand through community engagement on Snapchat is real-time content. Whether you are lost at sea on a sea-doo like DJ Khaled, or launching your highly anticipated lib-balm line like Kylie Jenner, it is very important to create an authentic video narrative to drive brand awareness. Direct access to live events gives the audience a feeling of exclusivity and authenticity they cannot experience on any other platform. In the age of the multi-screen experience, one can be watching the live event on TV while engaging on Snapchat. A Snapchat story building up to the reveal of a giveaway or exclusive promotion is a great way to engage with your audience. A well-executed video narrative with tailored plot lines and a climax can engage your community in a contest, giveaway or promotion your company may have. This is relatively inexpensive and can bring added value to the consumer, increasing their brand awareness and overall engagement. 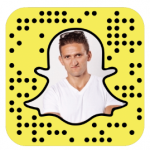 For instance, Casey Neistat (a very popular YouTube vlogger) gave away 3 DJI Phantom 3 drones on his Snapchat, YouTube and Instagram accounts. Naturally, his fans have followed him on each platform and engage with all accounts grossing him over 3 million subscribers. It’s very important as a business to have a respectable audience size on each social media platform your business contributes to – nothing looks worse than a small Instagram following when the company has thousands of Twitter followers. The YouTube sensation Brent Rivera, who has a sizeable following on Facebook and Vine as well, has mastered the cross-promotional tactic. Though he may have the most followers on Facebook and Vine, he posts discrete hints on his popular accounts to follow his Snapchat for exclusive content. This varies from behind the scenes action during the making of his YouTube videos, giving the viewer exclusivity and authenticity. “Once you get them off of Vine or off of Facebook, the other platforms are really easy to connect [people] to,” – Rivera explains. 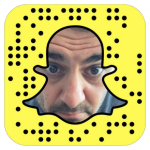 One way to achieve cross-promotion on Snapchat is to screenshot or save your stories to upload to you business’s other social accounts. Time and time again we see accounts taking screenshots from their Snapchat stories to promote their following on their various social media profiles, and it has proven to be very effective. personality. Gary’s Snapchat stories mostly consist of him in taxis, airports or coffee shops while he inspires his following to “want more and be hungry”. Casey Neistat (@caseyneistat): a creator of popular YouTube videos, a producer, director and co-founder of social media company Beme. His Snapchat following has seen great success in the past year, with daily vlog-style videos of him, his family and daily life in New York City. 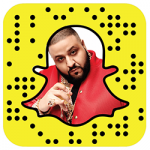 DJ Khaled (@djkhaled): an American record producer who has grown his Snapchat following to millions in the past year. His inspirational quotes and “Keys to Success” have positioned him in the limelight once again with millennials – especially when he was lost on his sea-doo in the Miami River at night. Amanda Cerny (@amandacerny): coming from Vine fame, Amanda found success using her great sense of humour to create hilarious content. 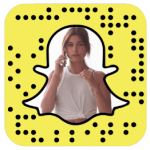 On her snapchat, she posts inside looks at her life and behind the scenes footage of the production of her vines! Don’t know how to add someone with the new Snapcode feature? This video will help you out. 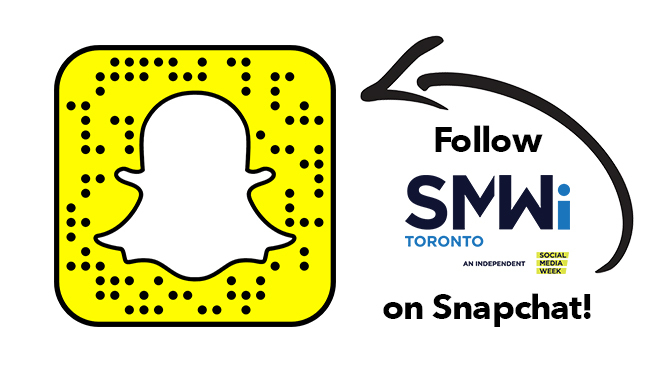 Remember to follow SMWi Toronto on Snapchat (by scanning the feature image code) to see exclusive content during social media week! Happy Snapping!